My nephew, Kevin, graduated from high school this year, and I had lots of fun helping out with the decorations at his graduation party. 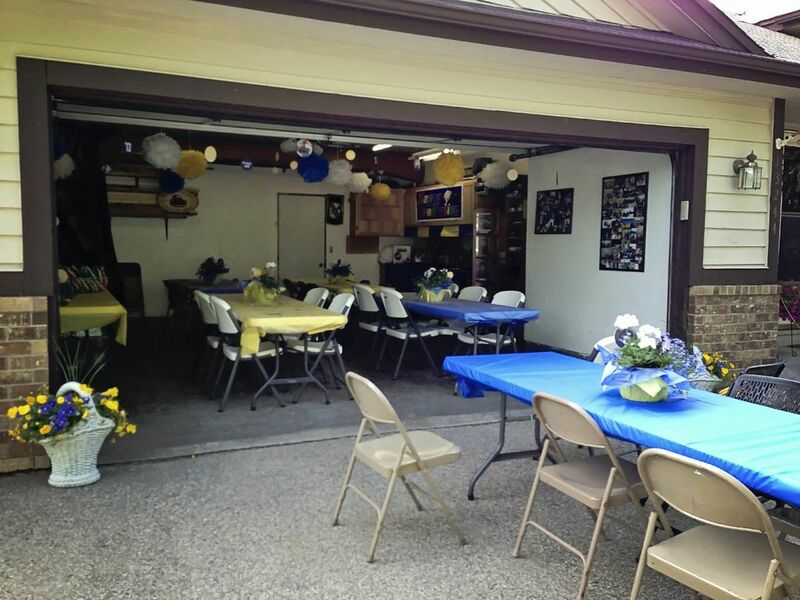 Given that his future plans are to become an auto mechanic, it was perfectly fitting that the party was going to be held in the family garage! 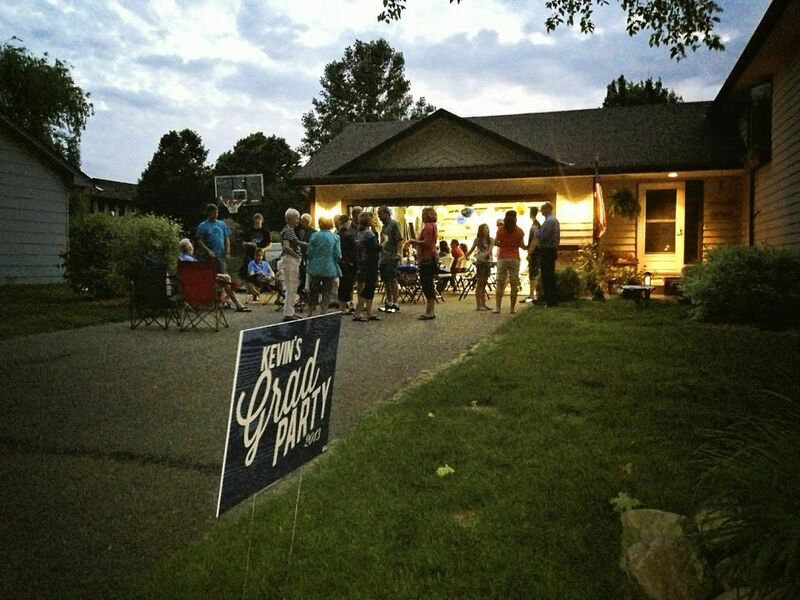 Outside, we set up a yard sign and lawn games to welcome the neighbors. 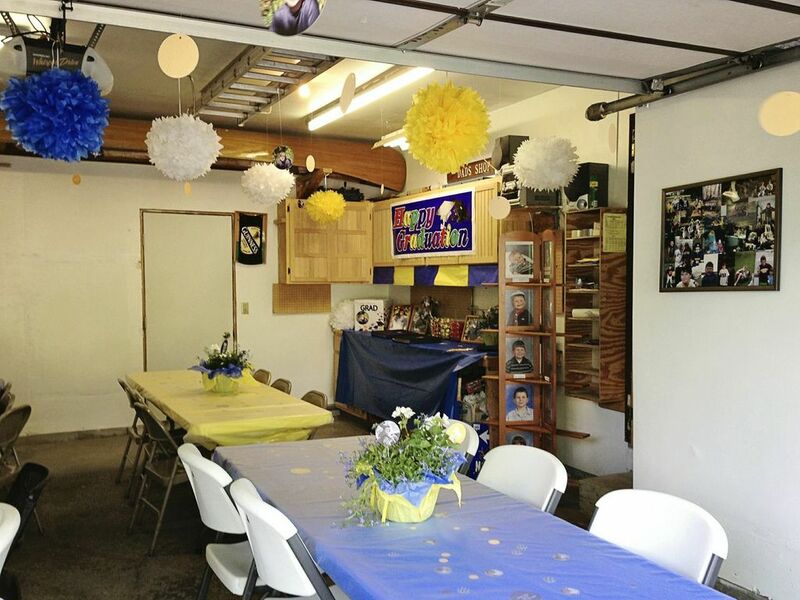 Inside the garage, the challenge was to make the large space feel welcoming and to keep the focus on our graduate. 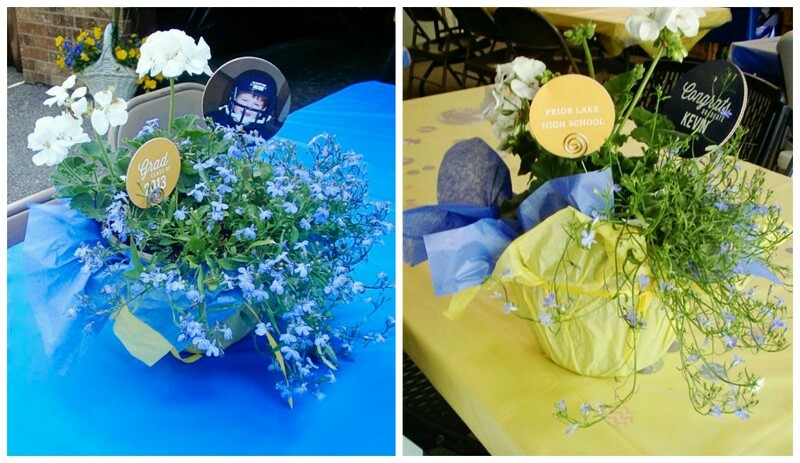 The school colors of blue and gold were the easiest way to tie the decorations together, but we incorporated photos of Kevin—baby photos, sports and vacation photos, and of course, his senior photo—wherever we could to make our graduation party ideas more personal. The tables were covered in blue and gold, and scattered with Pear Tree’s personalized Chevron Celebration Graduation Confetti. Pots of blue and white flowers wrapped in blue and gold tissue decorated the tables. We also personalized lots of our Congrats Photo Table Decor with photos, colors and messages of congratulations, and poked of few of them into each centerpiece using wire photo picks. My favorite graduation party ideas were the decorations we hung from the ceiling. Bright blue, yellow and white tissue poms provided big bursts of color, while dozens of the circle-shaped table decor pieces dangled and spun in the breeze overhead. It took us about an hour to create this effect by punching holes in the circles, stringing them from fishing line and tacking them to the ceiling. But it was definitely worth the effort, because everyone commented on how great it looked! 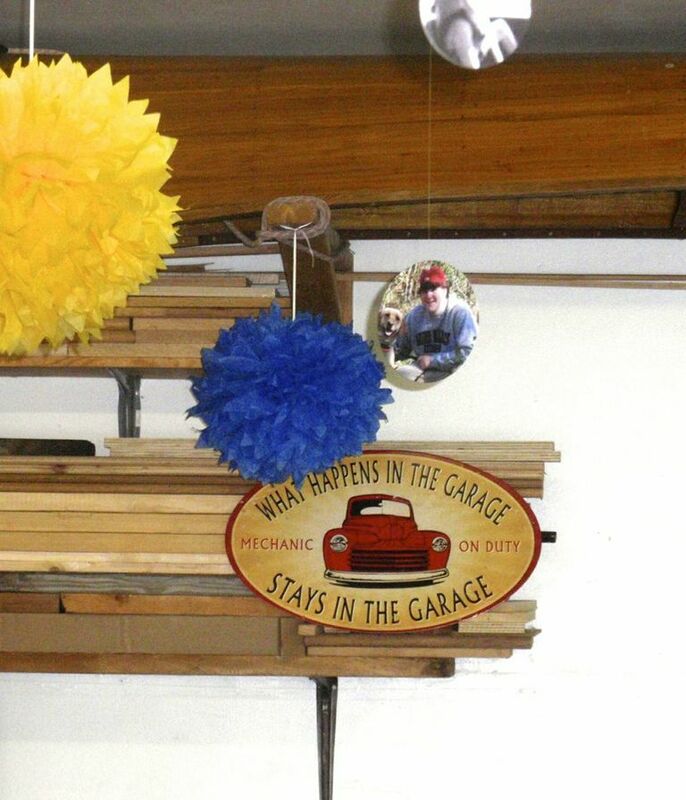 The garage workbench became the perfect place for gifts and a photo display. 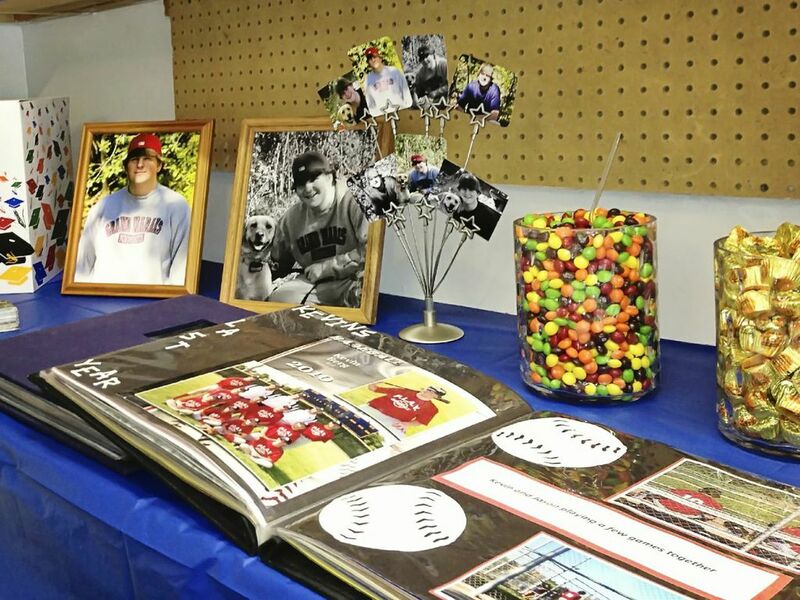 Scrapbooks and framed photos gave guests plenty of photos to look at while they snacked on candies scooped from clear glass candleholders. A few antique-looking garage signs placed on the wall and serving table also added to the atmosphere. We even created personalized personalized graduation napkins using more photos. 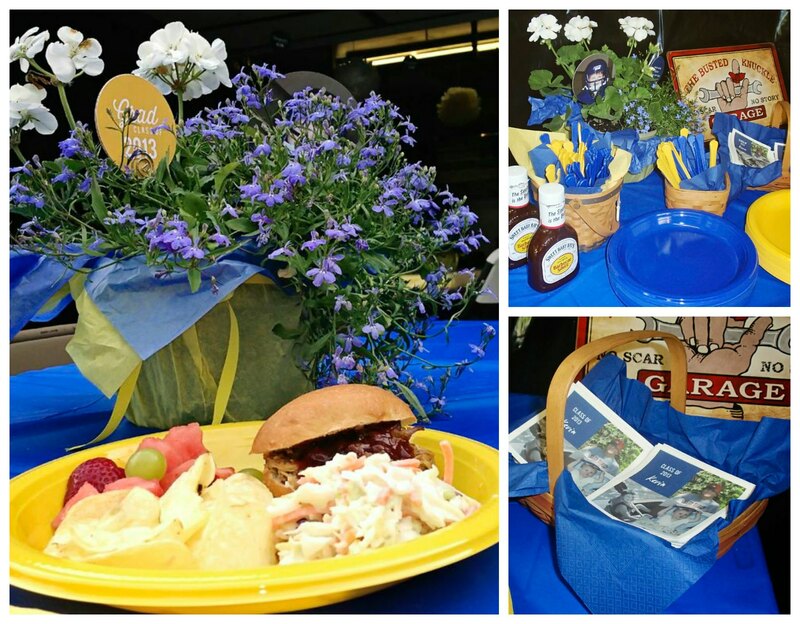 Guests enjoyed a delicious buffet of Kevin’s favorite BBQ pork sandwiches, cole slaw, fruit, chips, and desserts. Everyone agreed, the garage party was a big success! Even after the sun went down, the brightly decorated garage welcomed friends and kept the party going well into the night. 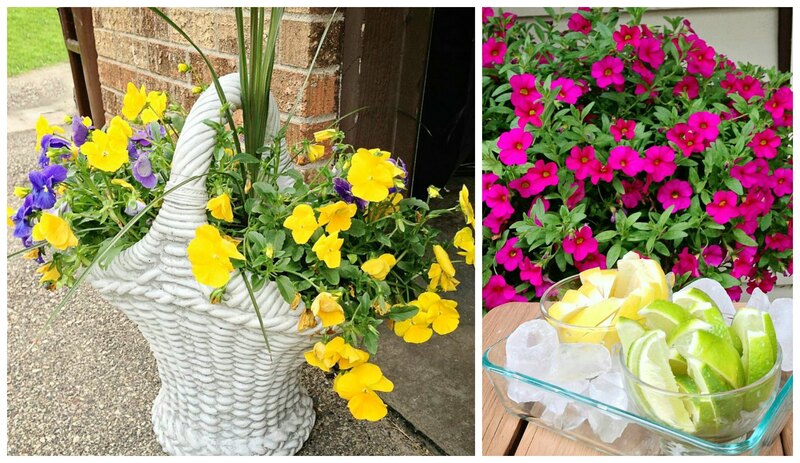 ← PreviousSplash into Summer Savings!